Southern Counties glass celebrated 60 years of continuous trading in 2012. Today it is a specialist in many products, including glass splashbacks cut to fit apertures in kitchens or shower rooms, glass worktops, glass balustrades, integral sealed units, and many others. In 2013 the business acquired the adjacent workshop unit to cater for further expansion. The staff have been Southern Counties' greatest asset, adopting and deploying new skills as the demands of the business have changed. Our reputation has been built on providing a friendly, professional and honest service with a straightforward approach to business. Our in-house team of designers, glass finishers, templaters and fitters are dedicated to delivering a high-quality product and service and are customer focused from conception to completion. All our products are manufactured in-house and we are proud to offer a wide range of finishes, including our standard finish range, shimmer finish, sparkle finish, satin finish, metallic finish, mirror and printed finish images, the possibilities are endless. We can produce these in any shape or size and they can be used for a wide variety of applications, such as splashbacks, wall art, table tops, interior and exterior decorations, signage, wall cladding and furniture. WE USE THE BUYING POWER OF THE GROUP TO GET PRICES LOWER THAN "TRADE" How does it work? We are an alliance of 500+ builders, just like you. You may buy a handful of kitchens per year with your trade account & probably get good discounts. As a group we buy 200 times that amount. This massive buying power means manufacturers give us exclusive rates. You as a member will benefit from this, regardless of how many kitchens you buy in a year. By buying through us you will be able to save £500 - £1,500 per kitchen, over your regular trade account * Find out more on our about us page. We are a family run bathroom and kitchen showroom with the added benefit of a plumbing and heating trade counter. Between 3 of us we have over 60 years experience within the KBB industry. As leading Granite Worktop suppliers the South East, Granite Grand Design is a company of highly skilled stonemasons with over 25 years experience in designing, fabricating and installing bespoke granite worktops, dedicated to offering a friendly comprehensive service. Based in West Sussex we deliver and install across the South of England, our stonemasons work to the highest standards, using the best quality granite and marble with accurate fitting and attention to detail. Replacing your kitchen doors is an easy, affordable way to refresh the most important room in your home. If you’re looking for an instant kitchen upgrade, new doors are ideal – they can be fitted in a matter of hours, given you immediate results. Kitchen Door Workshop has everything you need to make replacing your cabinet doors and drawers a piece of cake. As well supplying ready-made doors available in a range of sizes, we also offer made-to-measure doors – so if your units are non-standard shapes or sizes, all you need to do is give us your measurements and we’ll do the rest. We offer free colour samples, sample doors for purchase and DIY video tutorials. Solid stone worktops are the perfect choice if you want the very best for your kitchen. Good-looking, hard-wearing, practical and value-enhancing; granite worktops set the gold standard in contemporary kitchens. Granite is so hard we can only cut it with diamonds, while its dense grain makes it difficult to stain. And with no two quarries producing exactly the same stone, the variety of colours available from across the world is breathtaking. The colour range expands still more with engineered stones – or quartz. Made from stone and glass with a resin component, quartz worktops are available in vibrant colours, as well as textures which mimic natural stone. Affordable Granite has been supplying granite worktops since 2003 and sources only the best quality stone. We never sub-contract, using our own experienced team to template and fit worktops which we cut and polish in our Surrey workshop. This ensures a perfect fit and stunning results every time. Read our process from initial enquiry to fitting and see photos from our workshop. Yew Tree, the best kept secret in quality handmade kitchens Our philosophy at Yew Tree is to give our customers exceptional value for money without compromising on the quality of our kitchens or service. From design to installation, our talented designers and cabinet makers will guide you through the design process and finally handcraft for you the kitchen of your dreams. If you are looking for a bespoke solid wooden kitchen that is traditionally made in the UK using the finest quality materials, then look no further. Please view our products page to see how surprisingly affordable we really are. Pickthornes offer a wide range of quality kitchens in Worthing, Lancing, Shoreham and Arundel from leading manufacturers, including Crown, Symphony, Bretton Park, and Crosby. We provide complete fully project managed installations, including all goods, appliances, plumbing, electrics, plastering, and redecoration. We also offer a supply only service either rigid or flat packed. Finesse Kitchens have been trading for twenty years under the directorship of Chris Duggin. Finesse Kitchens have a long history serving developers, from the single prestigious project to larger scale projects including multiple dwellings. Over the years Finesse Kitchens have also established relationships with estate agents who are involved with property management supplying and installing kitchens as part of their refurbishment program. Finesse Kitchens pride themselves in providing a quality rigid built carcase with hardware from Blum and with a wide range of frontals which can offer a product to suit most budgets. Finesse Kitchens attention to detail and high level of service has resulted on a business built on recommendations. So whether you are a developer or an individual looking for new kitchen contact us to discuss your requirements. Finesse Kitchens are pleased to announce NOVA MOBILI as our supplier of a selected range of bedroom furniture. Needless to say the attention to detail can be applied to all your requirements from a dressing room to a large master bedroom. All aspects of Interior decor and refurbishments. What should I hire a Lewes, East Sussex kitchen and bathroom fixtures specialist for? 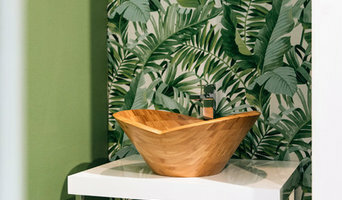 Whether you are doing up a house you’ve moved into or you want to update your bathroom suite or fitted kitchen, working with a Lewes, East Sussex kitchen and bathroom fixtures specialist will be extremely helpful. Even if you want to source your own fitted kitchens and bathroom fittings from bathroom and kitchen showrooms, unless you are a skilled craftsman someone will have had to make the fixtures and unless you are a plumber you’ll probably need some help with installation! On Houzz you can find kitchen suppliers, manufacturers and installers of fixtures and fittings in Lewes, East Sussex to help with all aspects of the process. In the kitchen you can change more than just the sink and taps. Even without ripping out all the fitted kitchen units, you can still have bespoke kitchen doors made to replace the old ones and worktops laid over old surfaces or replacing them entirely. Instant boiling water taps, waste disposal units and induction hobs are just some of the gadgetry and convenient fixtures that are available for fitted kitchens from kitchen showrooms and suppliers. 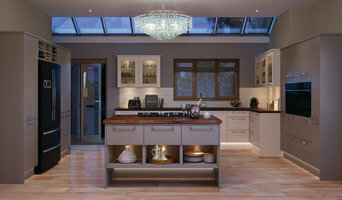 Take a look at the Lewes, East Sussex kitchen suppliers listed on Houzz to find out the sort of fixtures and fittings they offer. A bathroom isn’t a bathroom without its plumbing fixtures and good bathroom fixtures can make or break a home when it comes to selling potential. 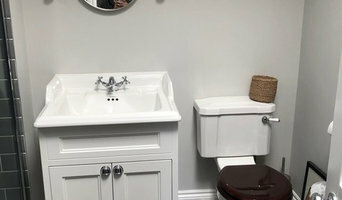 Take time to pick out bathroom fittings that work together; you can opt for a whole bathroom suite from a bathroom showroom or bathroom installer, but if you don’t want the overly matching look, a Lewes, East Sussex bathroom fittings specialist can help you choose individual but complementary pieces. Power shower installation can boost the appeal of your bathroom (no one likes a weak shower) and extra special features like his and hers sinks, shower body jets and roll top baths will give your bathroom style that added oompf. If you can’t stretch to extravagant bathroom fixtures you can still talk to a fixtures specialist about electric shower installation or installing a new toilet; it may seem like a lot of hassle at first, but when you leave it to a professional, all the hassle is taken off your hands. Many Lewes, East Sussex kitchen and bathroom designers will install or offer help with your fitted kitchens, bathroom fittings and fixtures, so if you want an all-in-one renovation service, you can contact these professionals on Houzz as well. Talk to kitchen showrooms, suppliers and bathroom stores to see if they offer their own installation service or can recommend a local Lewes, East Sussex installer for you. Here are some related professionals and vendors to complement the work of kitchen & bath fixtures: Kitchen & Bathroom Designers, Kitchen & Bathroom Fitters, Interior Designers, Cabinet Makers. Find kitchen or bathroom fixtures and fittings manufacturers on Houzz. 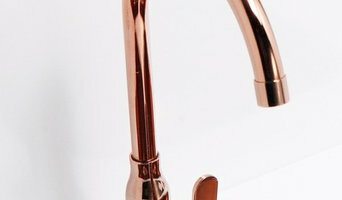 Check out Lewes, East Sussex fitted kitchen showrooms and bathroom fittings installers on Houzz. You can also look through project photos provided by Lewes, East Sussex kitchen suppliers, bathroom renovators, showrooms and designers to find fixtures you like and contact the professional who installed them.